Chickadees, the cute petite black, white and gray birds that often be seen in the backyards, may just be your favorite birds. 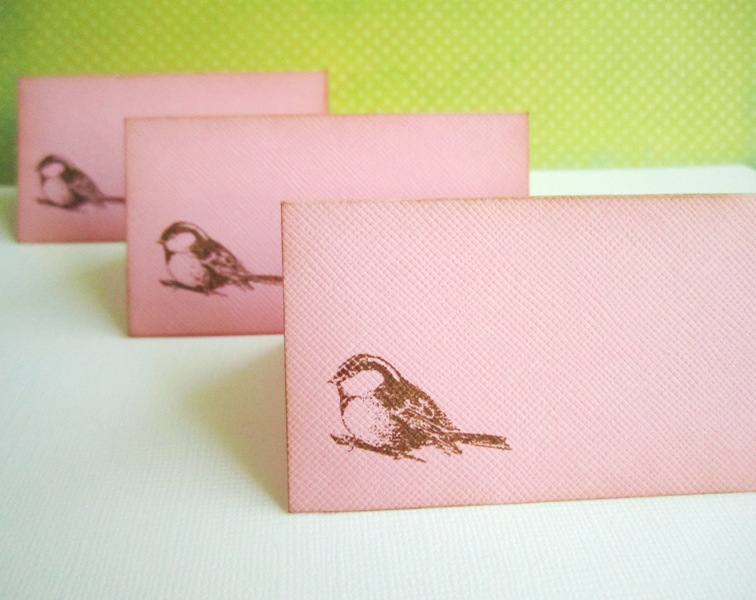 f you do plan a bird themed party, don’t forget to pick up these adorable bird table place cards. 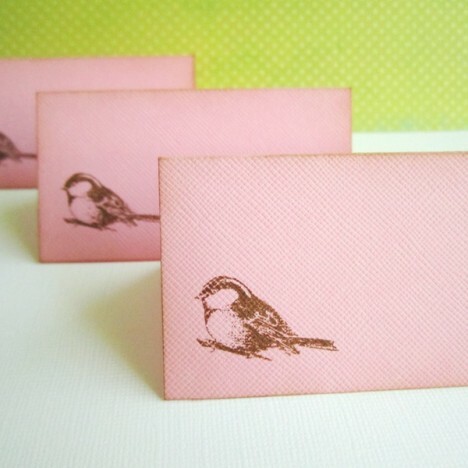 In this listing, you will receive 6 (six) Bird Table Place Cards. 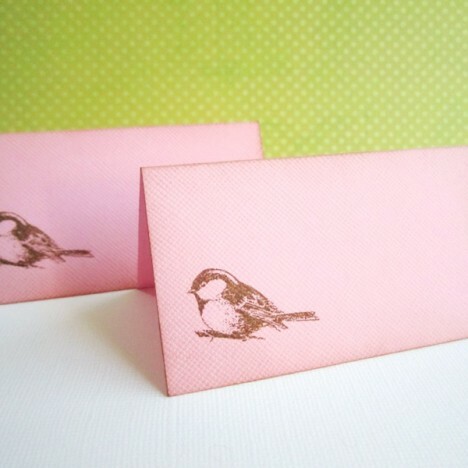 They are individually handstamped and come in blank, giving you ample of space to write your own texts. Each card has vintage feel to it. 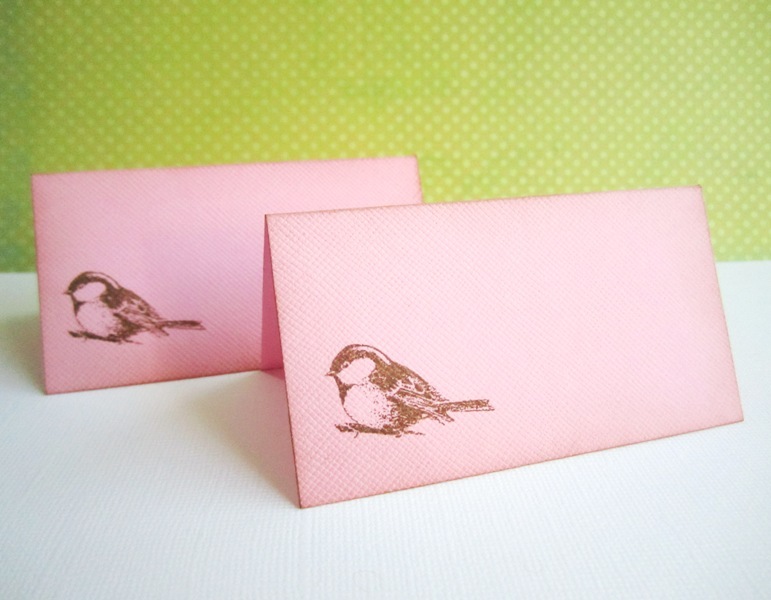 They can be used as food tent cards or table guest cards. Would this bird theme a great theme to have in a garden, a picnic area, or a conservatory? Place these cards in front of the foods and drinks you are serving. It is a great way to inform your guests about the food and beverage menu. 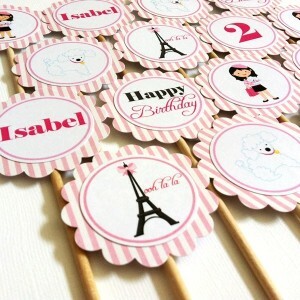 These tent cards are perfect as place cards or name cards as well. 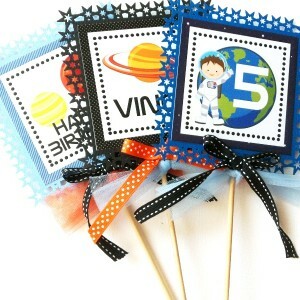 They are a great seating arrangement tool, letting your guests know where their assigned seats are. 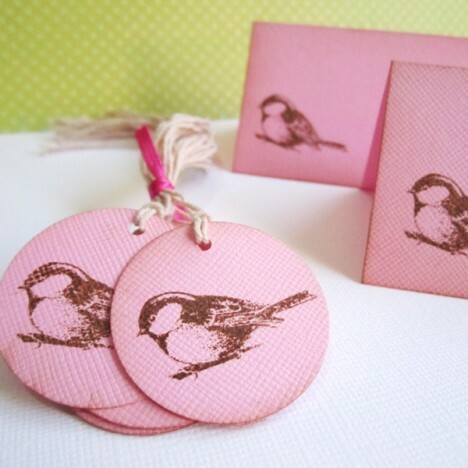 Each of these Bird Table Place Cards measures about 3.75 inch wide and 2 inch tall when folded. 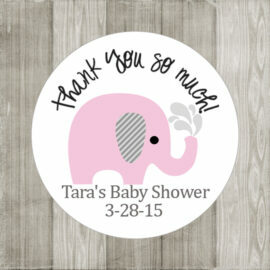 These tent cards come in pink but they can also be done in other colors. 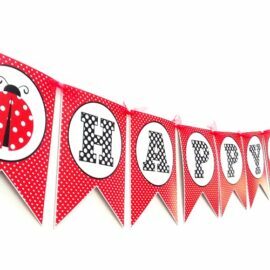 We used high quality, acid free, beautiful textured cardstocks. On billing details section, there is order notes field where you can let us know any additional information. Should you have preference, please let us know the colors of the cardstocks as well, otherwise they will be chosen randomly. 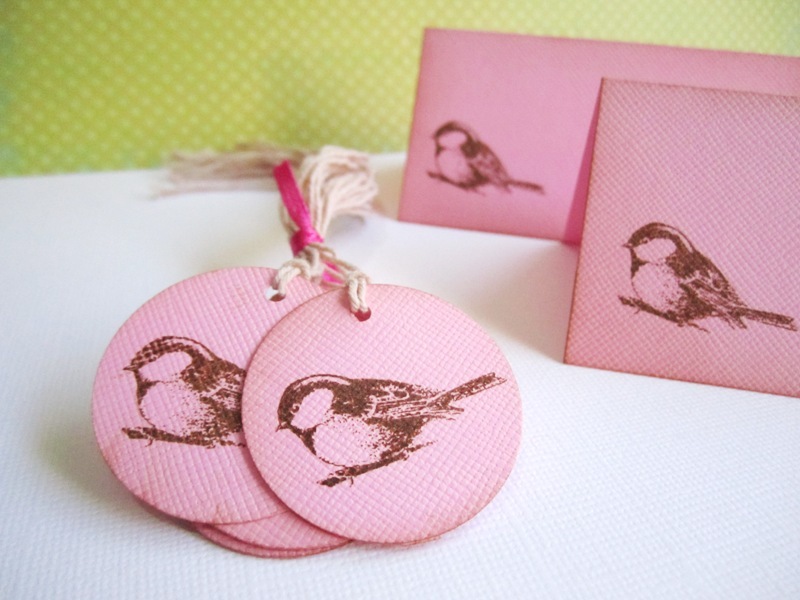 Are you looking for party decorations to compliment this Bird Table Place Cards?